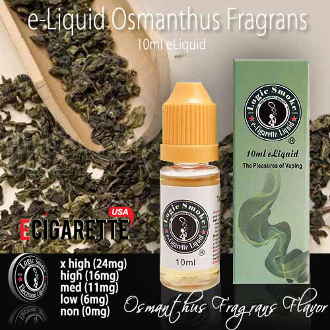 The sweet floral scent of our Osmanthus Fragrens e-liquid perfumes the air and the flavor will allure you with it’s gentle sweetness and light apricot and peach undertones. The Osmanthus Fragrens is a flowering plant traditionally used in Taiwan as a symbol of love and romance. It is perfect for those times when you want something sultry yet satisfying.